Nabeha Shaer is a graduate of the University of South Florida in International Studies and Africana Studies. 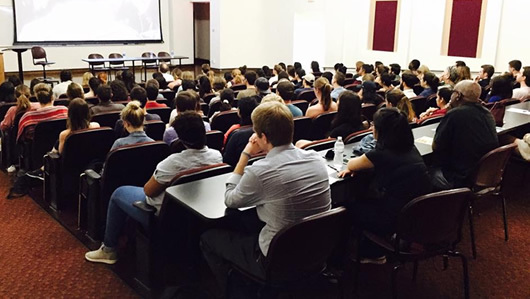 Nabeha is currently studying at the Florida State College of Law with a focus on international human rights law. She enjoys working at the FSU Center for the Advancement of Human Rights because it gives her the opportunity to use her skills in a meaningful way to help others. Deni is a first generation American whose family emigrated from Bulgaria. She graduated from Florida State University with a degree in international affairs with a concentration in comparative politics and a minor in Spanish. 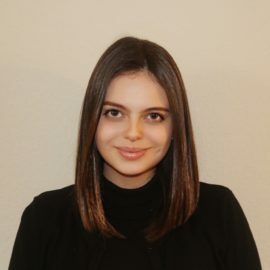 Deni is currently a third year law student at The Florida State University College of Law, where she is working with the Public Interest Law Clinic on its “Children in Prison Project.” Through this project, she is representing clients who have been unconstitutionally sentenced and working on their re-sentencing. 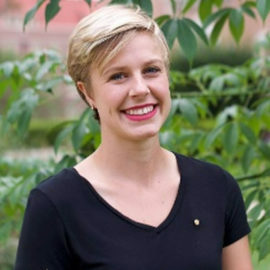 She was first introduced to the CAHR when she did her undergraduate thesis on “Educating Girls Globally to Improve Equality and Human Rights,” where she did research under the guidance of Terry Coonan. Now, she volunteers with the CAHR to further her knowledge on human rights issues and continue her passion for helping others. 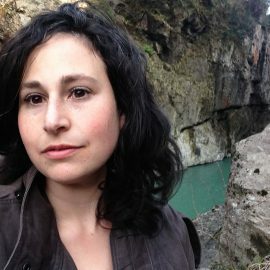 Michelle is a Philosophy Graduate Student and Graduate Teaching Assistant. She is doing her Master’s in political philosophy , specifically Rights Theory. As an undergraduate she volunteered as a mentor for refugees via Lutheran Social Services, and it changed her life. From then on, she has been dedicated to human and animal rights causes. She hopes to one day work as a diplomat for the US Department of State or to work for the UN Refugee Agency. She works for the Graduate Assistants United Union as the Philosophy Department Rep, is the Co-Organizer for Anonymous for Voiceless Tallahassee, and has volunteered advocating for prison reform. In a past life, she taught in Japan for three years through the JET (Japan Exchange and Teaching Program) and was an Exchange Student in Thailand via Rotary Youth Exchange. Now, she is excited to learn about how to better help people via the FSU Center for the Advancement of Human Rights. career opportunities in the human rights field. 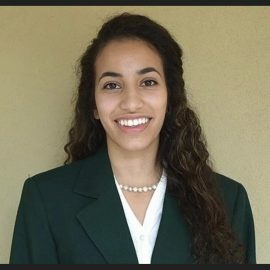 Hannah Mandatta is a third-year undergraduate student from Coral Springs, Florida double-majoring in Political Science and Religion with a certificate in Intensive Research Skills. 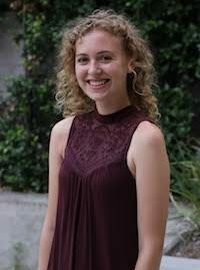 She participated in the Undergraduate Research Opportunity Program (UROP) under the mentorship of an FSU graduate student in the Religion Department her sophomore year and since then, has developed two independent research projects with topics ranging from religion, politics, happiness, and power. Hannah interned at HOPE Community with the Nonprofit Internship Program (NIP) where she organized a cleaning supply drive to ensure each resident had proper sanitary products within their dormitories. She also helped facilitate weekly gaming nights and daily tutoring services for the children living in the community. Currently, she serves as the Co-President for the Students Organized for Religious & Cultural Exploration (SORCE) and helps organize semi-annual research symposiums which allows undergraduate students to present and discuss their current research with faculty and students. 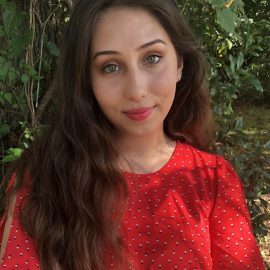 Hannah currently interns at the Center to learn more protecting and advocating for human rights within the Big Bend area. In the future plans, she plans to attend law school and eventually pursue a career in public interest law. Karma is a third year student from Miramar, Florida majoring in social work and minoring in international affairs. After receiving her bachelors, she plans on to go to graduate school to study international affairs and to later on pursue a career in human rights. Karma currently serves on board for the South Asian student association and has been a mentor for PeaceJam, which is an organization dedicated to educate youth about key social issues and leadership. This is Karma’s first semester at the center and she is excited to learn more about refugees and human rights law. Charlotte is a third-year undergraduate student at Florida State University pursuing a dual degree in international affairs and Spanish. Charlotte has previously been involved with the FSU Center for Intensive English Studies as a conversation partner, undergraduate linguistic research, and a gubernatorial campaign. She is excited to begin interning at CAHR this semester and exploring the intersection of human rights and public policy. 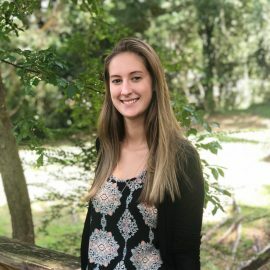 Brenda is a senior undergraduate student from Tallahassee, Florida majoring in International Affairs with a concentration in Political Science and minoring in Computer Science. She is also an intern at the International Rescue Committee where she helps with case management and resettling refugees right here in Tallahassee. Brenda is involved with many Model United Nations Conferences including Tallahassee Southern Model UN and Florida Model UN where she serves on the Executive staff as Director General for both conferences. This is her first semester interning here at the Center where she is eager to get an understanding of issues immigrants and refugees face beyond the resettlement period. William is a senior double majoring in history and international affairs. He is the community outreach chair for Advocates for Immigrant and Refugee Rights at FSU, which spreads awareness of immigrant issues and advocates for the rights or immigrant and refugee students and others. He also volunteers as a conversation partner at the Center for Intensive English Studies at FSU helping international students practice their English. 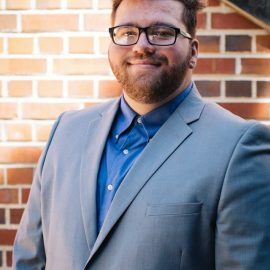 In Spring 2018, William did an internship with the International Rescue Committee and helped with the refugee resettlement process here in Tallahassee. He has a passion for human rights and plans to pursue a career as a Foreign Service Officer in the State Department. 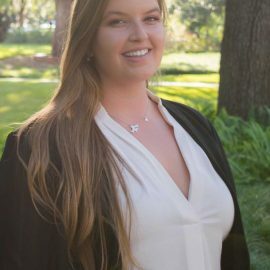 Taylor is a third-year undergraduate student from Orlando, Florida double-majoring in Economics and International Affairs with a concentration in Public Administration. She intends to pursue a law degree specializing in human rights and international law. She recently studied abroad in Spain this past summer with Florida State’s international program and hopes to expand her Spanish-speaking skills by working with the Center. 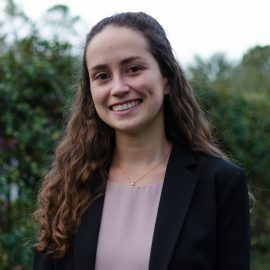 Giovanna Garcia is a Second Year honors student at Florida State University, double-majoring in International Affairs and Political Science with a minor in History. She has volunteered as a tutor for the Migrant and Refugee Education Alliance, an organization that is dedicated to enhancing the education of migrant and refugee students in the Tallahassee community. 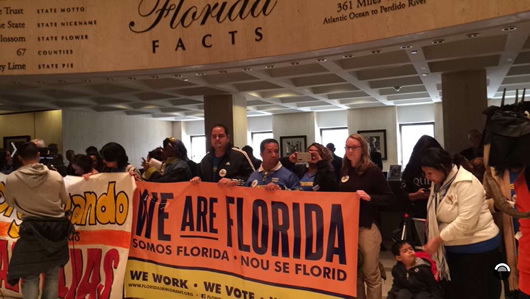 Giovanna also serves as Director of Political Affairs for FSU College Democrats where she focuses her efforts on supporting candidates and legislation that are pro immigrant rights and women’s rights. She is currently an intern for the CAHR and hopes to eventually pursue a career as an international human rights lawyer. 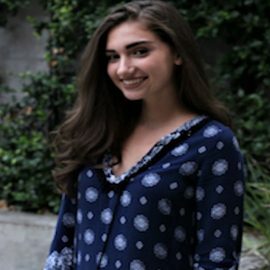 Katherine Shapiro is a Third Year Student from Lakeland, Florida, studying History and International Affairs. She came to Florida State in Fall of 2016 and plans to graduate in Spring of 2020. During the fall, Katherine serves as a Tuba player for the World Renowned Florida State Marching Chiefs and is a sister in the Music and Service Sorority of Tau Beta Sigma. She came to work this semester at the Center to reach out to the community and explore the field of human rights law. 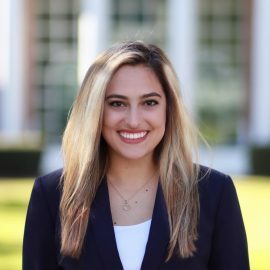 Nathalia Cetertick, born in São Paulo, Brazil, is a fourth-year undergraduate student at Florida State University, pursuing a Bachelor of Science degree in Political Science and International Affairs with a concentration in Public Administration. She is a honors student in the University Honors Program and a member of Phi Beta Kappa honor society. Nathalia is a volunteer at the Migrant and Refugee Education Alliance, where she works with refugee students in the local school district to help them improve their ability to communicate in English and advance their academics. 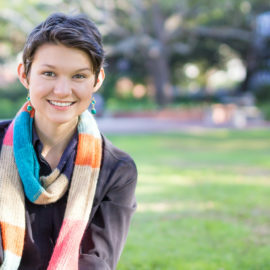 She is also involved with the Center for Global Engagement by serving as a Global Ambassador, where she lectures at educational institutions and nonprofit organizations around Tallahassee. This program has allowed her to inform children, teenagers, and adults about a different culture, supplying them with valuable international knowledge and promoting cultural diversity. She is currently an intern at the FSU Center for the Advancement of Human Rights and plans on attending law school upon her graduation. 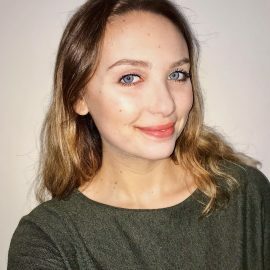 Taegan is seeking a dual degree in International Affairs, Spanish, and Anthropology and plans to attend graduate school to study the intersections of immigration, memory, and human rights. She currently serves on the boards for Advocates for Immigrant and Refugee Rights (AIRR) and Amnesty International at FSU to organize outreach and lobbying for human rights issues. This is her first semester interning at CAHR and she is elated to be working directly with issues relating to immigration and women and family rights.